Our fuel facility, located at Port Melville, has a capacity of 30 million litres and currently stocks marine gas oil/ultra-low sulphur with a 10ppm content. The port is designated as a security controlled port by the Australian government and is licensed as a storage facility for goods, subject to customs control (petroleum and like products). With three vertical storage tanks, each with a capacity of 10 million litres, fuel facility is fully Australian Taxation Office (ATO) compliant and able to offer bonded and unbonded fuel. The fuel facility is fully equipped with a motor control room, dispensing pump skid, metering skid, waste control system, slops tank and a fire protection system. 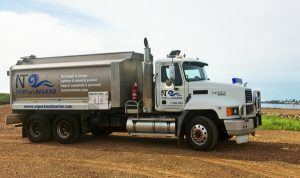 Port Melville is able to supply communities and commercial/industrial operations on Melville Island with diesel fuel via a dedicated 17,000 litre capacity tanker truck, operated by trained personnel. Port Melville is able to refuel any vessel up to 50,000 DWT with marine gas oil/diesel at variable rates. The port is equipped with a comprehensive range of hose and coupling sizes to accommodate all requirements. We are also able to refuel vessels requiring small volumes/low flow rates. Variable flow rate is available 200-3000 litres per minute. Vessels requiring low volume/low flow rate bunkering will be serviced ex-truck (17,000 litre capacity). Additional connections available with notice.